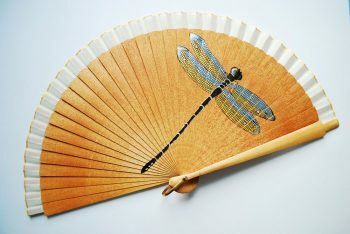 If your fan purchased in Gigihandfans suffers any damage in the fabric, rods or handle, I can find a way to repair it. You just need to send me a photo to GigiHandfans@gmail.com showing the flaws to evaluate what type of reparation needed. As I work with local artisans, with whom I have a very close professional relationship, we can find a way to fix or repair any damaged. 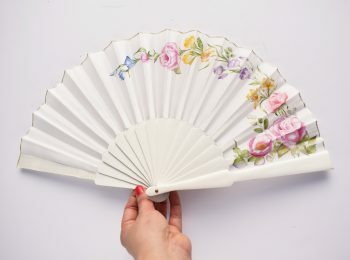 I can also restore the fan of your mother or grandmother, that one that was kept in a drawer because one of it rods broke. Send me photo of your fan to GigiHandfans@gmail.com and I will see how to fix it. I studied Art History and Humanities, I worked and collaborated very closely with restorers, so, if your fan requires a very technical or specialized intervention, I will refer you to professionals specializing in the subject. Take care !! 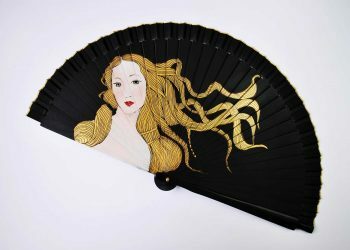 , restore a fan never, and I say never, involves ripping the fabric, and put another to paint the same image, that is not a restoration, is to destroy half of your fan. I know some people do this kind of practice. Don’t let them do this with your fan, because what they’re doing is destroying it. 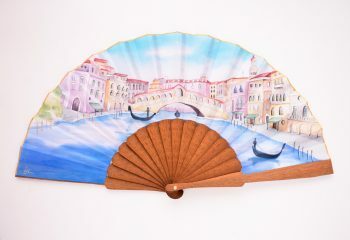 There are exceptional cases in which the separate and not ripped of the fabric would be licit, if you want to know more about how to restore a fan visit my blog.